The latest iteration of the Air Max 90 featuring Engineered Mesh is now available in an OG-inspired colorway. The latest iteration of the Air Max 90, this time featuring Engineered Mesh, is now available in an OG-inspired colorway. This modern version of the Air Max 90 utilizes an Engineered Mesh construction on the upper for weight reduction and enhanced breathability. 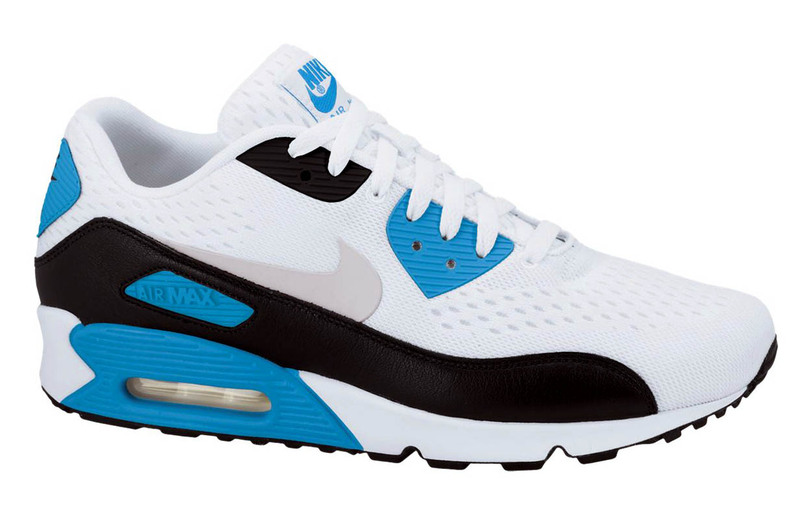 This 'White/White-Black-Laser Blue' colorway is inspired by the original "Laser Blue" Air Max 90 and sits on the traditional Air Max 90 sole. Look for them now at select Nike Sportswear retailers, as well as online now from Nike Store.